SecurityStockWatch.com: Thank you for joining us today, Geri. Please give us an overview of your background and a brief company history of Codebench. Geri Castaldo: Codebench was founded in 2001 as a software engineering company with particular expertise in physical access control systems. We develop solutions that break down data barriers between security products and business systems. I've worked in the security industry since 1988, first at a manufacturer, CASI-RUSCO (now GE Security), and then at an integrator, Security Technologies Group which was purchased by Siemens Building Technologies. Having that background gave me different perspectives about what end users want and need their security systems to do. In recent years, Codebench has gotten involved with HSPD-12, and that gave us the impetus to develop our PIVCheck software suite which is a cardholder validation solution with automated PACS registration and certificate management. SecurityStockWatch.com: We understand you’ll be speaking at ISC. May we have an overview of the main topics you’ll be discussing? Geri Castaldo: I'm on a panel discussing FIPS 201, Government ID Programs and your Security System. My presentation deals with registering FIPS 201, PIV II-compliant cards into access control systems. There are several things to consider since in many cases the access control system has been in place long before HSPD-12 was issued. There is a lot of infrastructure in place that may or may not be able to be leveraged if and when you migrate to a new credential. SecurityStockWatch.com: We understand that Codebench middleware allows access control systems to be linked to and share data with other security system components or key business systems. Please give us an overview of Codebench solutions. Geri Castaldo: We’ve developed custom software products that help end users leverage the many systems they have in place. For the most part, each piece of middleware is tailored specifically to what the end user is trying to accomplish. We've written interfaces between access control systems and several different time and attendance systems, a few DVRs, perimeter detection systems, alarm automation systems, HR systems. These are the types of projects that the professional services departments within access control manufacturers might be tasked with doing. However, many times, those departments are overloaded and cannot meet the deadlines required, and sometimes they don't have an interest in taking on a specific type of interface because it may be viewed as non-strategic. SecurityStockWatch.com: What is the size of your target market and what is your perspective on the market drivers for Codebench solutions at this time? Geri Castaldo: The target market for our PIVCheck suite of software is actually quite large, considering it consists of government agencies, DoD, and organizations that need to comply with TWIC such as ports and petrochemical facilities. Obviously, the market driver for our solution is HSPD-12 compliance. We have seen quite a bit of interest from the TWIC market since last year, however, in the past few months we're seeing an increase in activity from government agencies regarding PIV card compliance and from military agencies for CAC cards. 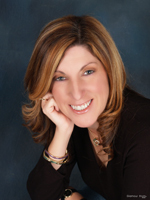 Geri Castaldo: Our Board and Management team consists of my partner, Bob Fontana, and me. Bob is President of Codebench, managing our engineering team and directing product management. His reputation as an exceptional software engineer with particular expertise in physical security is well known in the industry. We also have an Advisory Board that consists of John Szczygiel, President of MATE Intelligent Video, and Rich Anderson, President of Phare Consulting. SecurityStockWatch.com: Thanks again for joining us today, Geri.